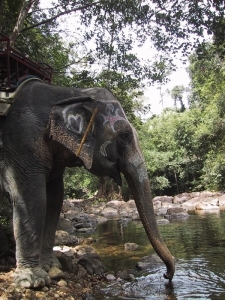 Very confusingly, there are actually two Ko Changs in Thailand. 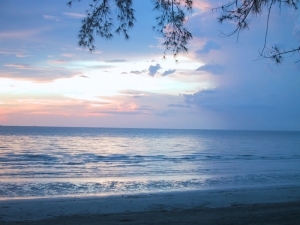 This is the one on the eastern coast of Thailand, near the Cambodian border. “Ko” means “Island” in Thai, and “Chang” means “elephant”, so this is Elephant Island. It’s an unspoiled island being rapidly spoiled by commercial development–so go there soon, if you can. It is in a malarial region of Thailand, so you’ll need to take antimalarials–but it’s worth it for the unspoiled beauty, complete quiet, and tropical beach. 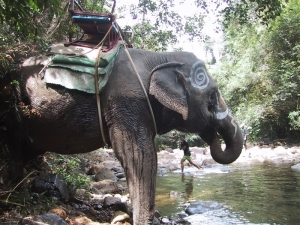 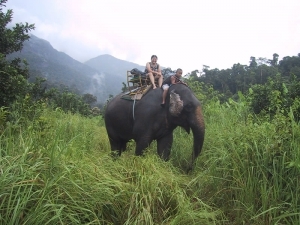 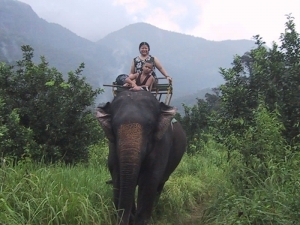 On one of my days here, I went on an elephant trek. 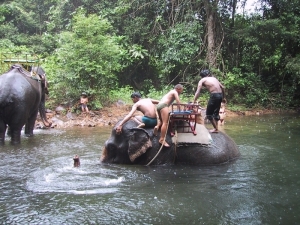 For 1000 baht ($25), I got a three-hour tour, a swim in a tropical pool, and some great pix. 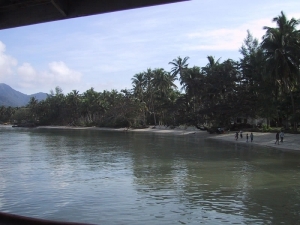 You can read more about my adventures on Ko Chang in the Thailand section of my travel blog. Elephant with her twelve-year-old mahout on top. 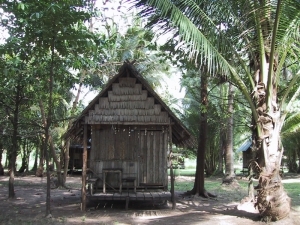 My bamboo hut on the beach in Ko Chang, Thailand. 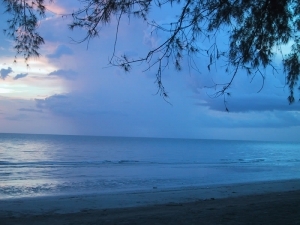 The beach at Ko Chang, Thailand. 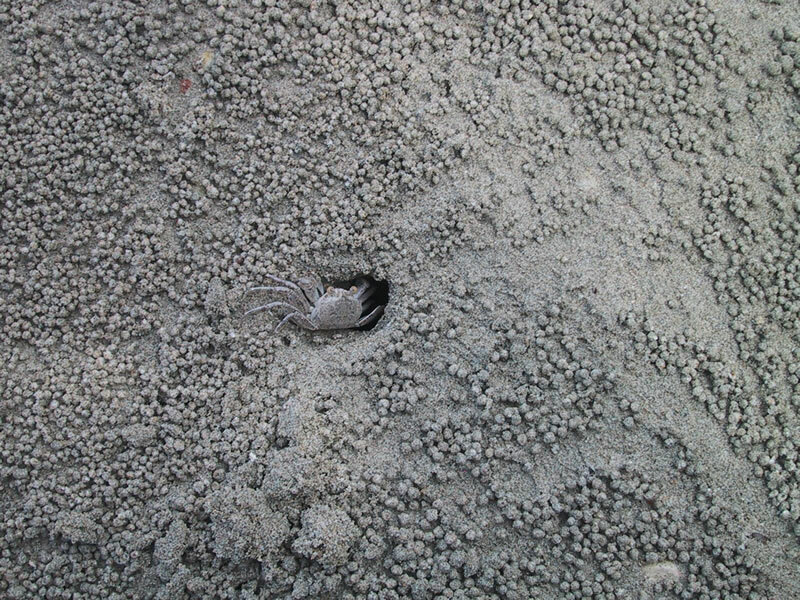 A very nifty crab on the beach. 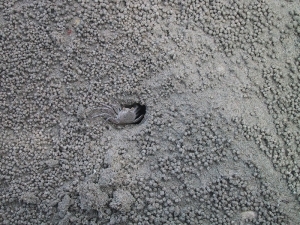 The pellets you see are all from little crabs excavating their holes. Mahout with his painted elephant. The ferry over to Ko Chang. 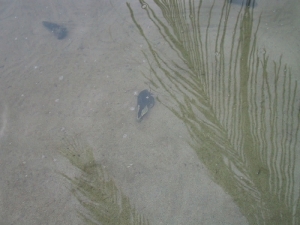 Hermit crab in the water. 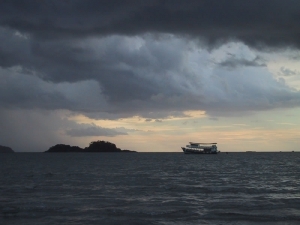 Every sheltered cove abounded with them. 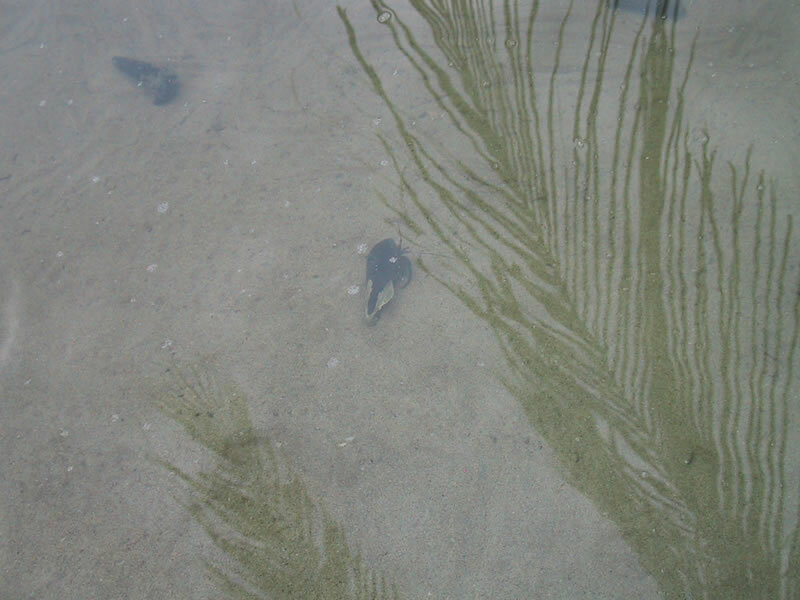 Reflected in the water is a coconut palm. 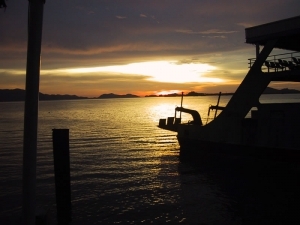 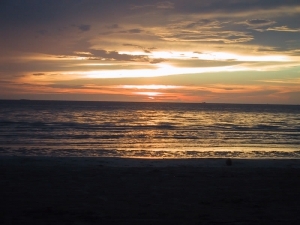 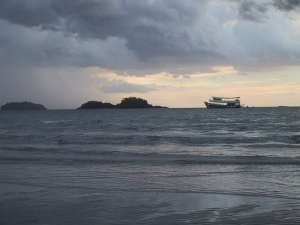 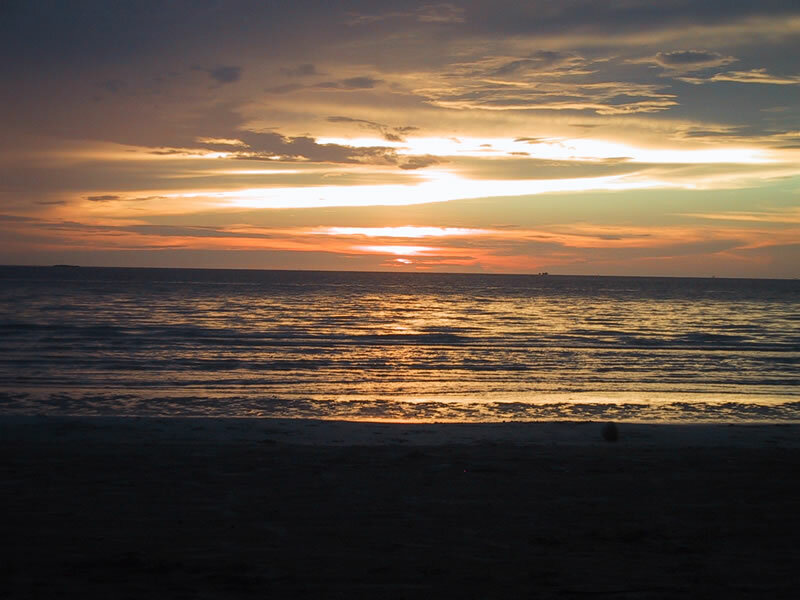 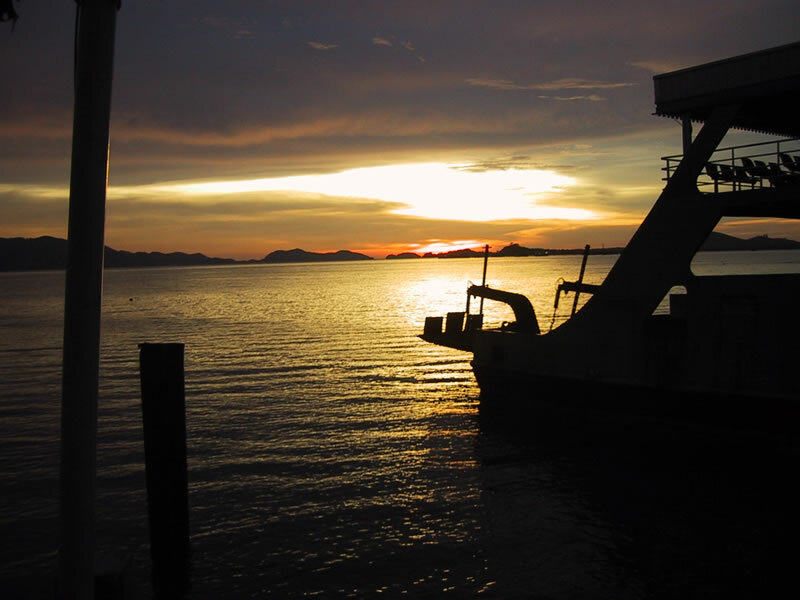 Various sunsets on Ko Chang. 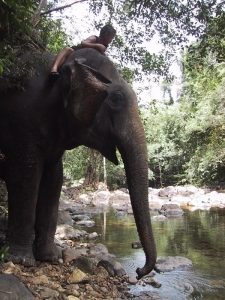 Me on an elephant. 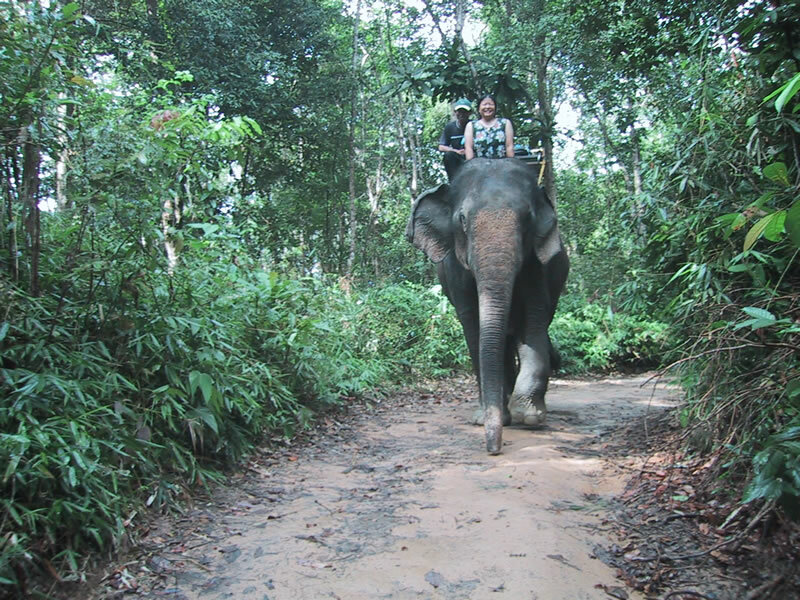 Elephants are quite easy to steer: put one foot behind each ear and nudge in the right direction. 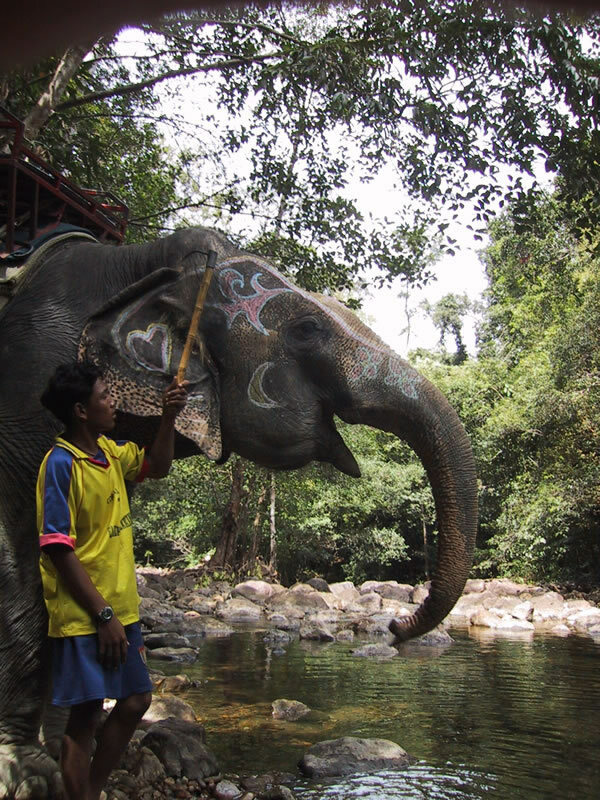 Whack with elephant goad when they misbehave. For the record, I'm riding an elephant in AIDS Lifecycle 2. 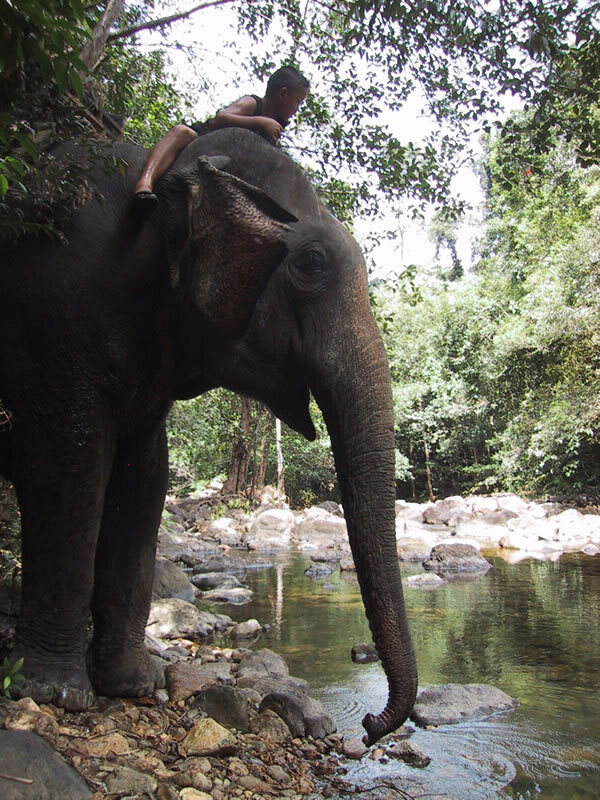 No more worries about inconsiderate drivers!